Students applying to college or who are currently attending should submit the Free Application for Federal Student Aid (FAFSA) which determines their eligibility for federal funding opportunities. Many state funding opportunities also require the FAFSA as part of their application process. There are numerous grants, scholarships, reimbursements and loan repayment opportunities offered by the state of Maryland and post-secondary schools. In addition to the following information, students should check with their respective school to determine eligibility for school-sponsored funding. Maryland offers both the Guaranteed Access (GA) and Educational Assistance (EA) Grants for certain students demonstrating financial need according to results of the FAFSA. High school seniors that have completed college preparatory coursework are eligible to apply for the GA Grant. Applicants that have graduated high school but have not entered college within a year after graduating from high school may also apply for the GA Grant after filing an appeal. Qualified applicants need to meet income guidelines and have a minimum 2.5 high school GPA. They must be enrolling as a full-time, degree-seeking student at a two- or four-year college or university. In addition to filing the FAFSA, interested applicants must submit a supplemental application which can be found at state.md.us. The amount awarded each year is $400 to $14,200 per student. The EA Grant is available to high school seniors and degree-seeking students currently enrolled full-time at a Maryland college or university. Applicants must have a financial need, based on results of the FAFSA. A supplemental application is not required. Awards range from $400 to $3,000 each academic year. For both grants, the FAFSA and any supplemental applications must be filed by March 1 for consideration. Grants are renewable for up to four years of full-time undergraduate study, pending continued eligibility. Awards from these grants will be recalculated if the student receives other funds. Students cannot concurrently receive the GA and EA Grants. Detailed information can be found about both programs at mhec.state.md.us. Degree-seeking college students and high school students participating in a dual-enrollment program may be eligible for the Part-Time Grant. Students must demonstrate financial need by submitting the FAFSA, and be enrolled in 6-11 credit hours. Awards range from $200 to $2,000 per academic year, and may be received for up to eight part-time years with continued eligibility. Students are selected by the institution, and those submitting their FAFSA closer to January 1 have the best opportunity to receive funds. Students in certain graduate and professional programs may be eligible for $1,000 to $5,000 per academic year. Applicants must have completed the FAFSA and demonstrate financial need. Furthermore, applicants must contact the school directly and request consideration for the award. Students can be enrolled part-time or full-time at an eligible college or university, pursing a degree in a healthcare or social work field. A list of eligible majors and schools can be found here, or by contacting a school directly to determine if they participate in the program. Maryland residents who are high school seniors or enrolled at a Maryland college or university are eligible for scholarship funds awarded by state senators and delegates. Applicants must qualify for these need-based scholarships by filing the FAFSA. Awards are open to both full- and part-time undergraduate and graduate students. Applicants are encouraged to contact the Office of Student Financial Aid (OSFA) at their college or university to determine the awards process. The Delegate Scholarship is at least $200 per year, while the Senatorial Scholarship offers students $400 to $9,000 yearly. 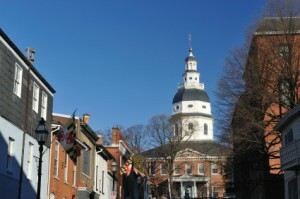 Each program allows exceptions for Maryland residents attending a school out of the state, if the student is pursuing a program of study not offered by any colleges in Maryland. Students must file a separate application for this exception. Additional qualifications for the Delegate and Senatorial Scholarships and supplemental forms can be found at the Delegate and Senatorial fact sheets, respectively. The University of Maryland offers state residents attending their college system various opportunities to make college affordable. The Maryland Pathways program offers three opportunities to help low-income students decrease the amount of debt incurred when attending college. The Work Grant Program is part of Maryland Pathways requiring eligible students to contribute to their educational expenses by working a few hours a week. The program incorporates Federal Work Study with state and institutional funding, guaranteeing eligible students are debt-free at graduation. Low-income students that were disqualified for the Federal Pell Grant may qualify for the Pell Grant Supplement Program. 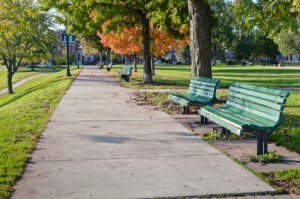 In some cases, a student’s income when combined with their parent’s income may make them ineligible for federal funding, although their income is not sufficient to pay for college. This program reviews the parents’ actual contribution to a dependent’s education to determine if there is a financial need. Lastly, the University of Maryland has instituted a “debt-cap” for seniors in their final year of study. Under the Senior Debt Cap Program, students that have incurred at least $15,900 in federal student loans may be eligible to have their final year’s expenses covered by a grant. All programs have minimum requirements, and students should consult www.financialaid.umd.edu for further information. Eligible applicants can receive up to $500 toward qualifying educational expenses for enrollment at a private career school, which may be renewed once. The award is need-based, and submitting the FAFSA is required. Applicants must also contact their school directly to apply. The Nurse Support Program II (NSP-II) is designed to encourage Registered Nurses to become faculty members in nursing programs. To apply for the Graduate Nursing Faculty Scholarship, applicants must be enrolled in a graduate-level nursing or post-baccalaureate certification program that meets the requirements to teach at a nursing program in Maryland. The award is not need-based; therefore the FAFSA is not required. The school will need to provide the applicant with a signed mentoring plan and evidence of sponsorship to be included with a request for funding. Students may be awarded up to $13,000 each year. The scholarship is renewable up to a maximum of $26,000 and four total years. Students that have been granted funding from the Graduate Nursing Faculty Scholarship are eligible to apply for the Living Expenses Grant. Applicants cannot exceed the maximum income guidelines, and will need to provide proof of income. Awards are up to $25,000 per year for students enrolled full-time, while prorated amounts are awarded for those enrolled part-time. NSP-II funding opportunities require a service commitment as a faculty member upon graduation; otherwise any funds must be repaid. Specific eligibility and application requirements, in addition to the online application are available at www.mhec.state.md.us. Although not a scholarship or grant program, the Tuition Reduction for Non-Resident Nursing Students funding opportunity reduces the educational cost for undergraduate nursing students. To apply, students must be enrolled in a nursing program at a Maryland college or university and pay out-of-state tuition rates. For a service commitment, students will be charged in-state tuition for the duration of their undergraduate nursing education. Opportunities are available to both full-time and part-time nursing students. Failure to uphold the service commitment will result in repayment of the tuition differential. Interested applicants can go to www.mhec.state.md.us for information on the requirements and directions to the application website. The Workforce Shortage Student Assistance Grant Program (WSSAG) encompasses multiple funding sources that aid students pursuing careers that are service-oriented and considered to be critical shortage areas. Current high school and college students with an intended or current major in Child Development or Early Childhood Education, Human Services, Education, Law, Nursing, Physical Therapy or Social Work may be eligible to apply. Each major area designates which specialties are eligible at www.mhec.state.md.us. The FAFSA is not required to apply, but encouraged. Need and merit are considered when funding is awarded. Selected applicants are awarded up to $4,000 per year depending on their institution and enrollment level. Awards are automatically renewed for up to five years, pending continued eligibility. A service commitment is required to receive funding. Interested applicants should consult the website for specific information and application materials. Maryland residents that are currently employed in or desire to pursue careers in the hospitality or culinary career fields may be eligible for funding. A list of resources and corresponding applications can be found at www.ramef.org. Scholarships are generally geared toward high school seniors and students currently enrolled in relevant college programs. However, there are scholarships available for instructors that want to continue their education. Funding sources include the Marcia S. Harris Legacy Fund and Letitia B. Carter Scholarship. High school seniors or college students that are dependents of military, state or local public safety employees or volunteers that were killed or disabled in service-related incidents, including the 9/11 Terrorist Attacks and those designated as POWs or MIA in the Vietnam Conflict, may qualify for the program. Dependents of military, public safety personnel and volunteers are considered to be children and spouses; in some cases the spouse must have not remarried. The maximum amount awarded is $9,000. Recipients that are dependents of 9/11 victims cannot receive more than $19,000 from any combination of grants and scholarships, including other proceeds from other 9/11 memorial funds and be eligible for this scholarship program. Applicants should consult www.mhec.state.md.us to determine potential eligibility, but students need to apply through their financial aid office. The Veterans of the Afghanistan and Iraq Conflicts Scholarship Program is open to veteran and active-duty military personnel that have served in the Afghanistan and Iraq Conflicts for at least 60 days. Dependents of these personnel are also eligible to apply. Applicants must be high school seniors or currently enrolled in a Maryland post-secondary school, and must be either stationed in or be residents of Maryland. Recipients are awarded 50% of room and board, tuition and fees for undergraduate attendance at a public Maryland institution. Currently, this equals a yearly award of not more than $9,430. The scholarship may be renewed for up to five years. Applicants can determine eligibility at www.mhec.state.md.us and apply online. The Maryland National Guard offers numerous opportunities to assist newly enlisted and currently serving personnel with educational expenses. Interested applicants should consult mdarmyguard.com for details on available funding. Opportunities also exist for family members, such as The National Guard Association of Maryland (NGAM) Scholarship Program. Tuition waivers are available for Maryland residents that were under foster care at the time of high school graduation or GED completion, or were under foster care but were adopted after the age of 13. Applicants must attend a public college or university and have begun study at or before the age of 25. The FAFSA is required, as is supplemental information from the financial aid office. Awards cover remaining tuition costs after funding from other grants and scholarships has been deducted. Waivers can be renewed for up to five years or upon completion of an undergraduate degree, pending continued eligibility. Applicants should consult www.mhec.state.md.us and their financial aid office for more information. Maryland residents that are employed or volunteer as emergency medical service workers or firefighters may be eligible for tuition reimbursement to pursue a degree or certificate in Fire Service or Medical Service Technology. The service agreement requires recipients to maintain active employment or volunteerism in the career field, and to continue at least a year after program completion. Additionally, students enrolled in the program must maintain minimum academic requirements to qualify for tuition reimbursement. Applications are available online at www.mhec.state.md.us. Employees in designated public service careers may be eligible for assistance in repaying student loans incurred during their education. Applicants must be employed full-time in a government or non-profit setting that helps underserved populations. There are income guidelines and service requirements. Potential applicants should consult www.mhec.state.md.us for information on qualifying careers and places of employment. An application can be completed online. State and public defenders in Maryland may qualify for help with loan repayment. Recipients must agree to remain in their area of employment for at least three additional years. Contact information is available at www.mhec.state.md.us as well as information on qualifying student loans and other requirements. Physicians and residents specializing in fields of primary care may be eligible for help with educational loan repayment. Recipients must agree to a service commitment at designated locations. Up to $30,000 per year of service commitment is awarded for loan repayment, with a maximum amount of $120,000. An online application is available at fha.maryland.gov. Primary care areas are: Family Practice, Obstetrics/Gynecology, General Practice, General Psychiatry, Internal Medicine and Pediatrics. Dentists employed full-time in a setting in which at least 30% of patients are part of the Maryland Medical Assistant Program can apply for loan repayment assistance. Additional information can be found at www.mhec.state.md.us. In exchange for their continued employment in this setting, recipients are awarded up to $23,740 each year for up to three years.